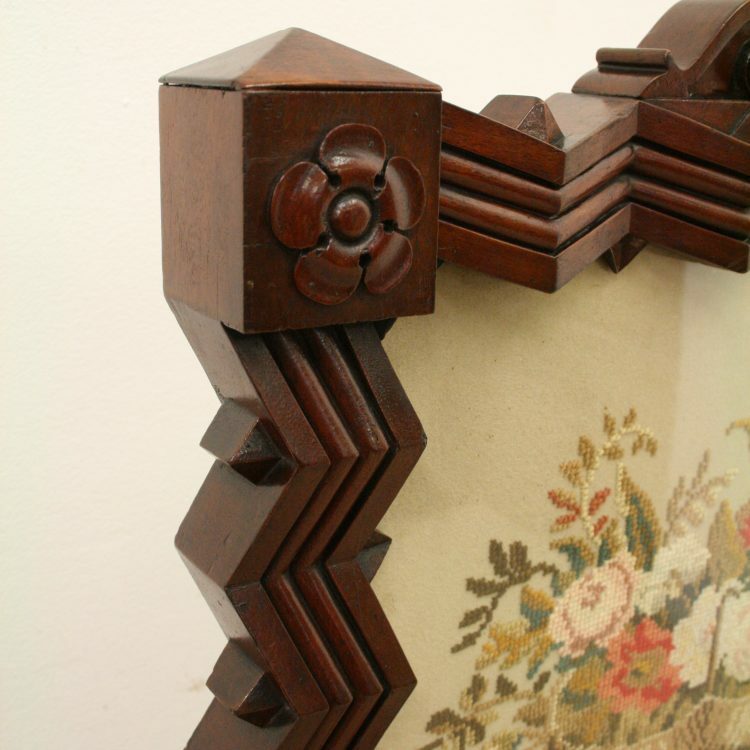 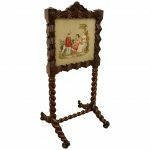 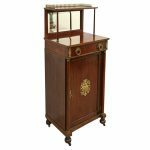 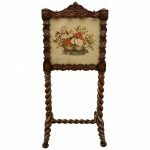 Circa 1880, unusual Victorian double sided mahogany fire screen, framed with unusual geometric mouldings and standing on finely carved rope twist supports and base finishing on squat bun feet. 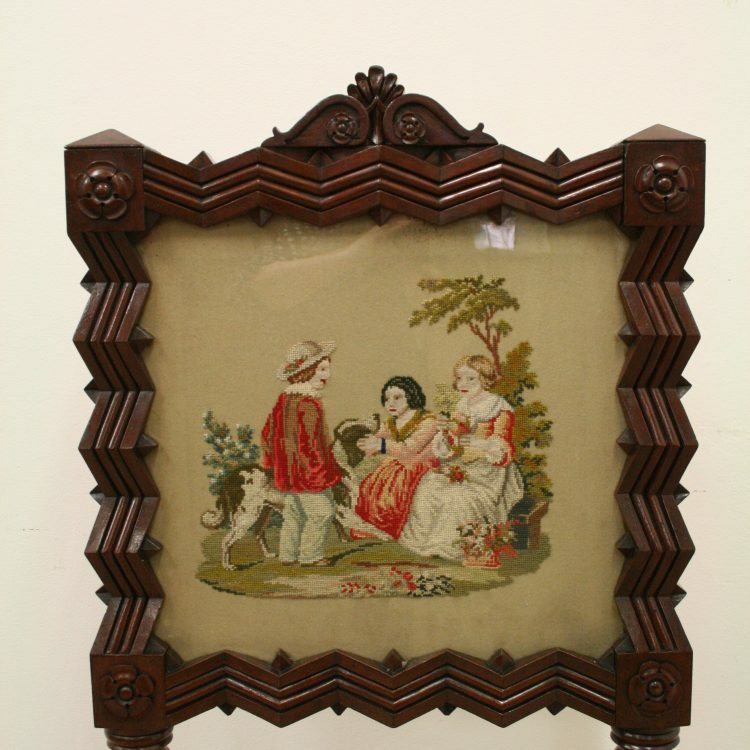 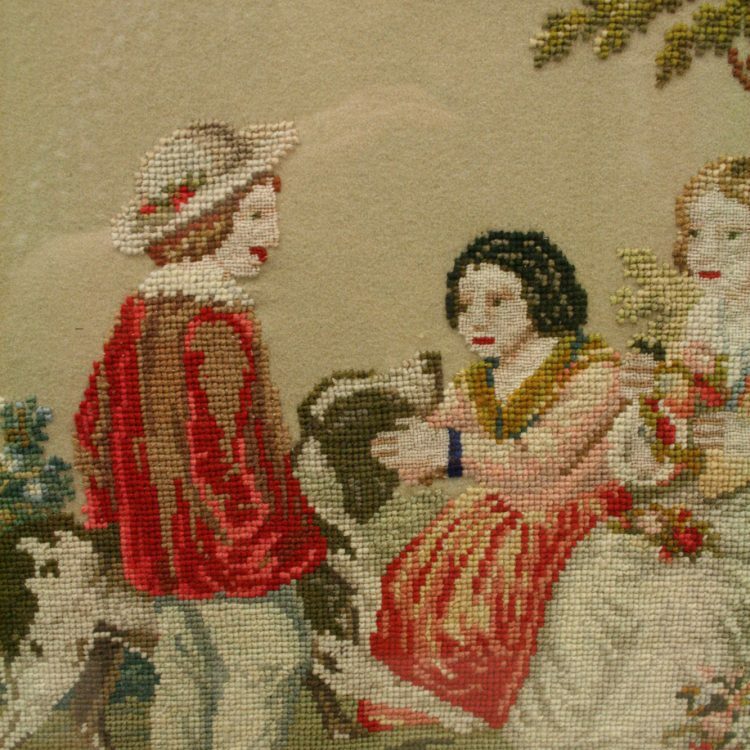 Impressive piece in original excellent condition. 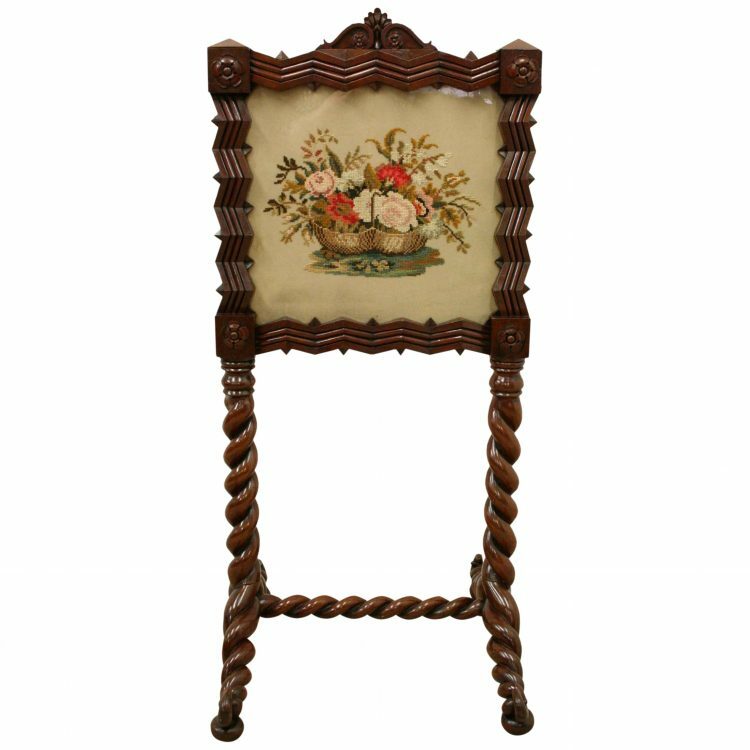 Size 49cm high x 32.5cm wide x 60cm deep. 49cm high x 32.5cm wide x 60cm deep.